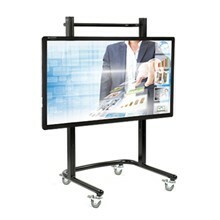 Stylish, engineered premium display mounts with quiet, telescopic leg and minimalist design. 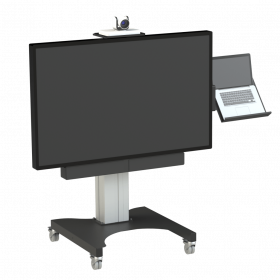 Suitable for screens up to 150kg and 105″ screens. Premium quality electric screen mounts with quiet, telescopic legs and built in base cover. Suitable for corporate environments for screens up to 100kg/75″, with 680mm electric stroke. Slender looking, hugely capable electric height adjustable trolley for large format displays and digital signage up to 130kg. Perfectly suited for large touch screen applications due to it’s high lift capacity, very stable design and 750mm electric lift.